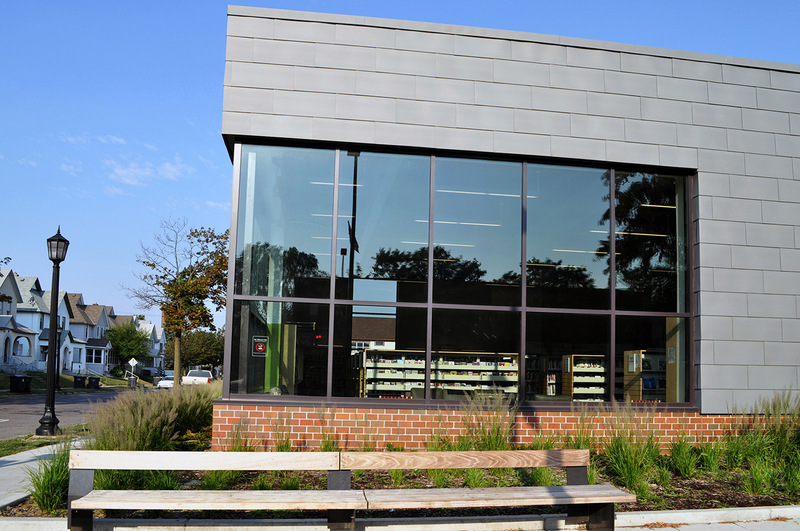 Loucks has worked on numerous library and community spaces for many different uses. 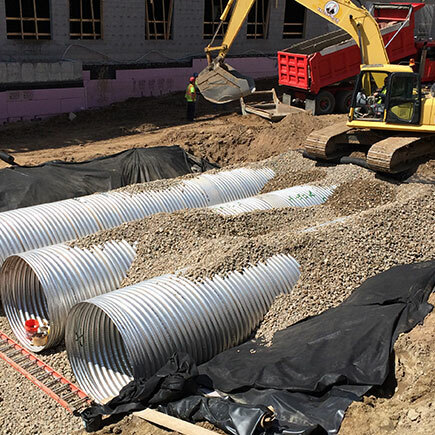 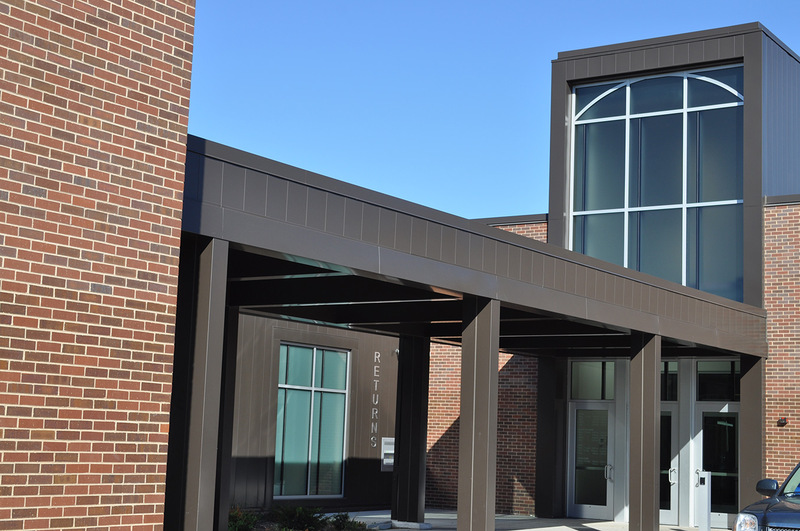 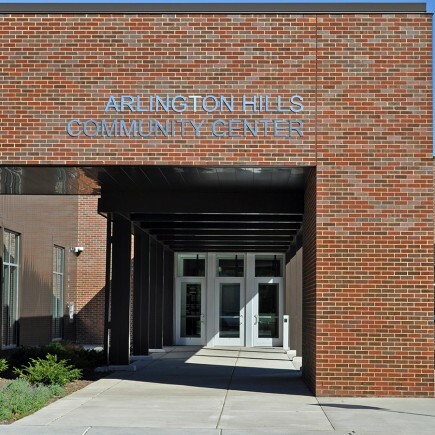 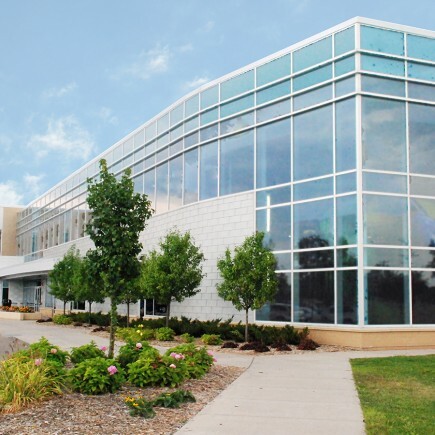 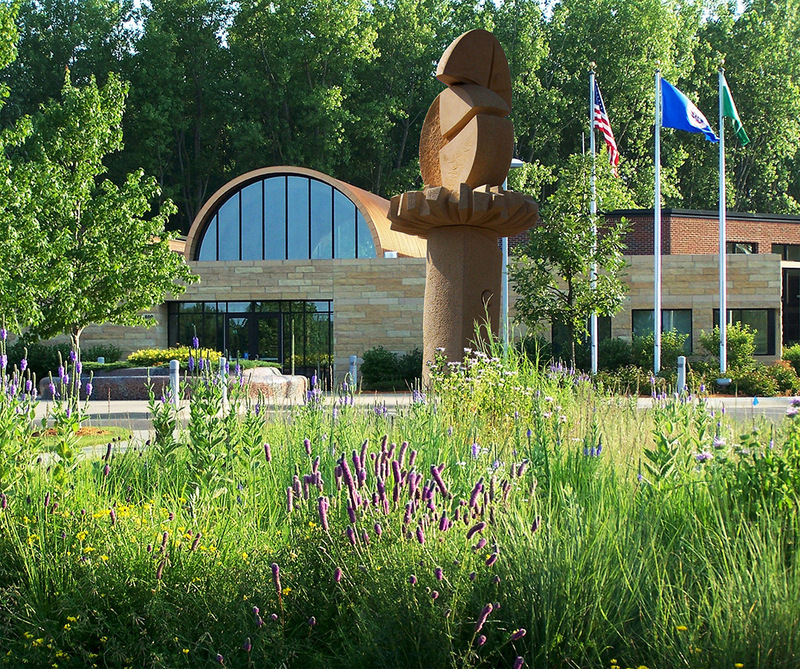 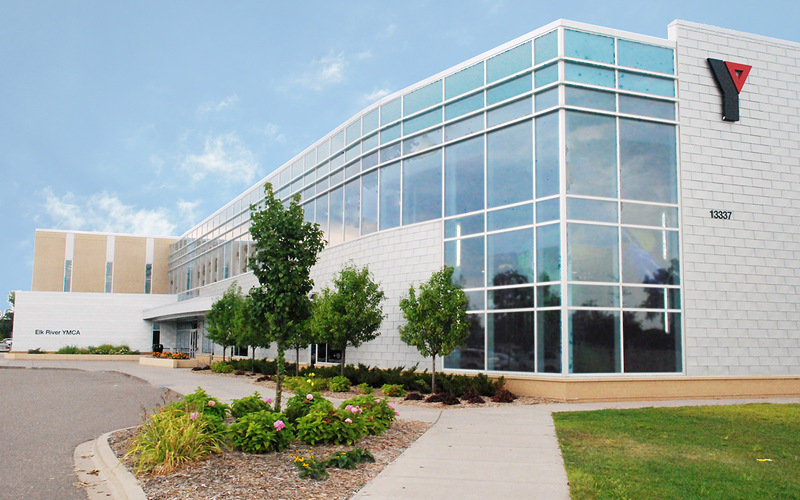 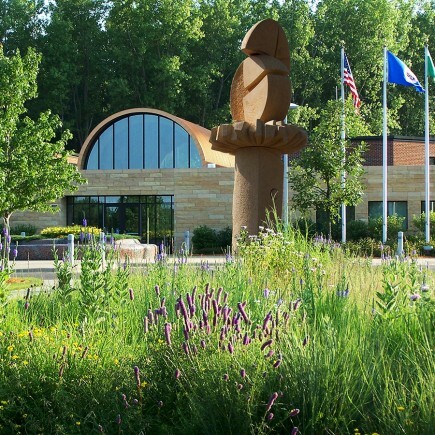 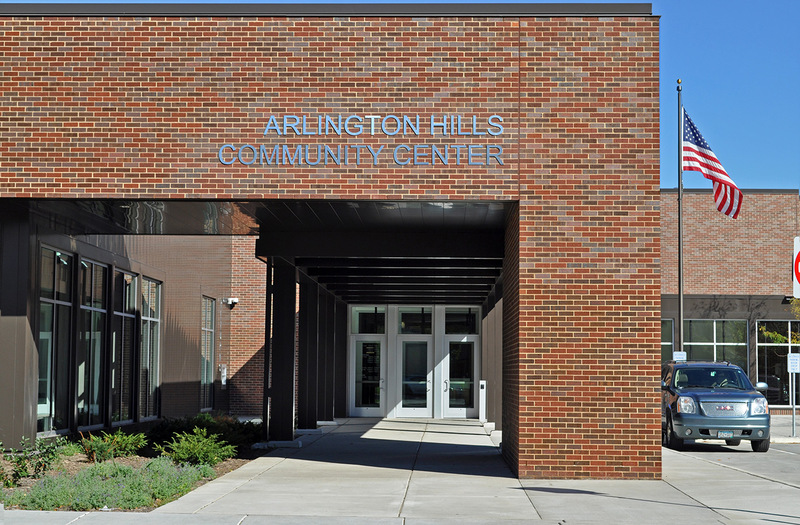 Our team based multidisciplinary approach makes us appreciate multiuse facilities such as the Arlington Hills Community Center located at Payne and Maryland in Saint Paul. 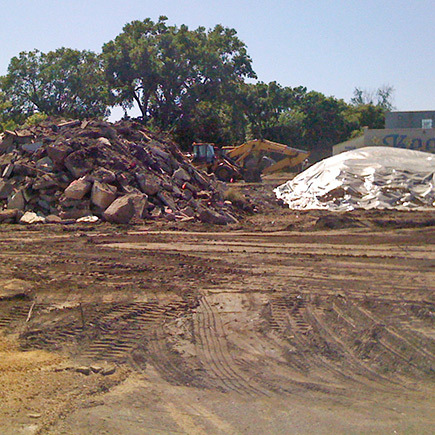 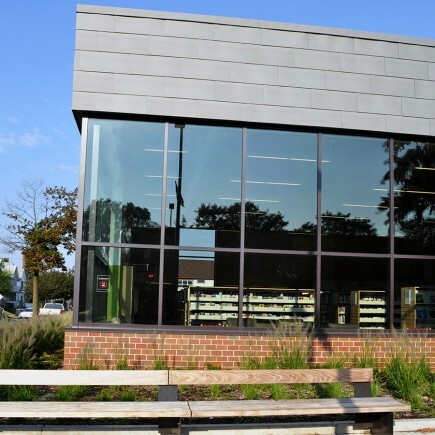 The urban one-block parcel which initially contained a hardware store, funeral home, park and small community center was enlarged by vacating Rose Avenue to gain green space and the acquisition of one-half block of homes. 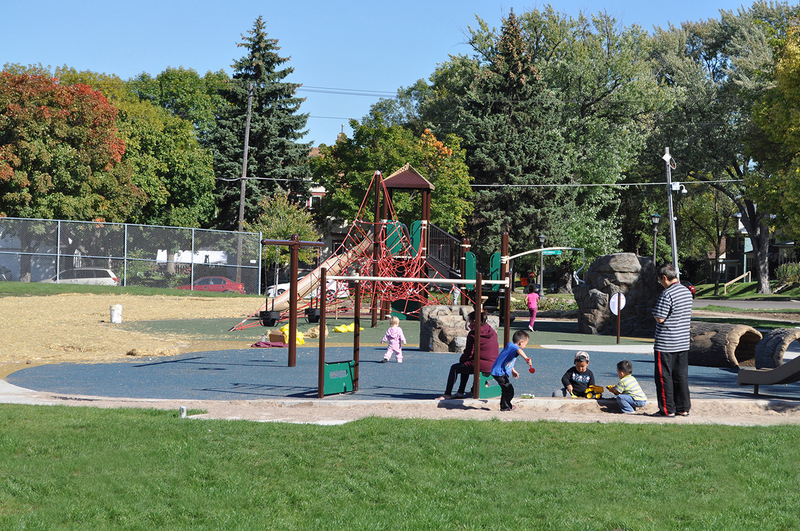 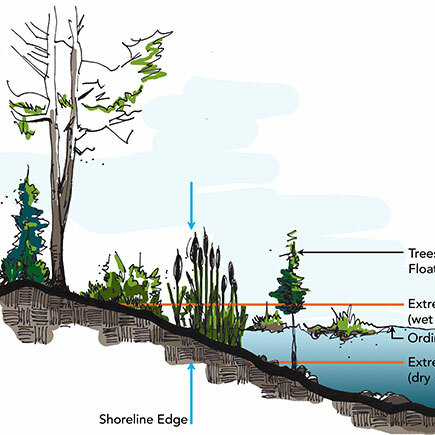 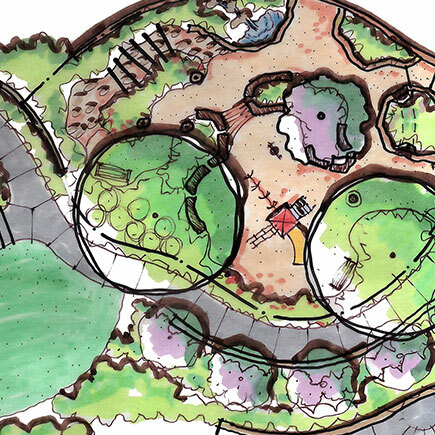 The resulting parcel of land was redeveloped into a multi-use site that includes a public library, gymnasium, playfields, parking lots, meeting spaces, outdoor stage, patio, discovery play, and contemplative garden. 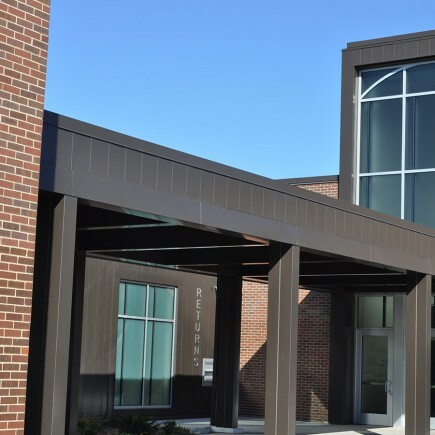 Elements of interest include a front parking lot with patterned concrete to allow the space to double as an outdoor event area, and a soccer field built over a geothermal well field which powers the building’s HVAC system. 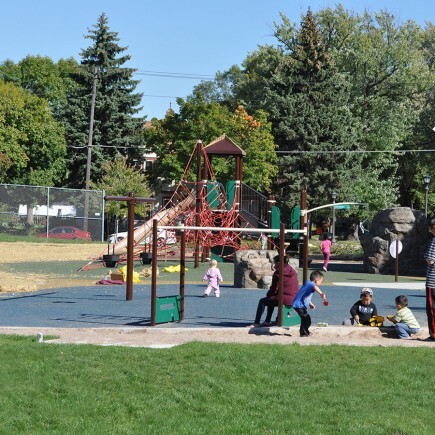 The project team preserved the large spruce near Phalen, which is a neighborhood icon adorned with holiday lights each year.